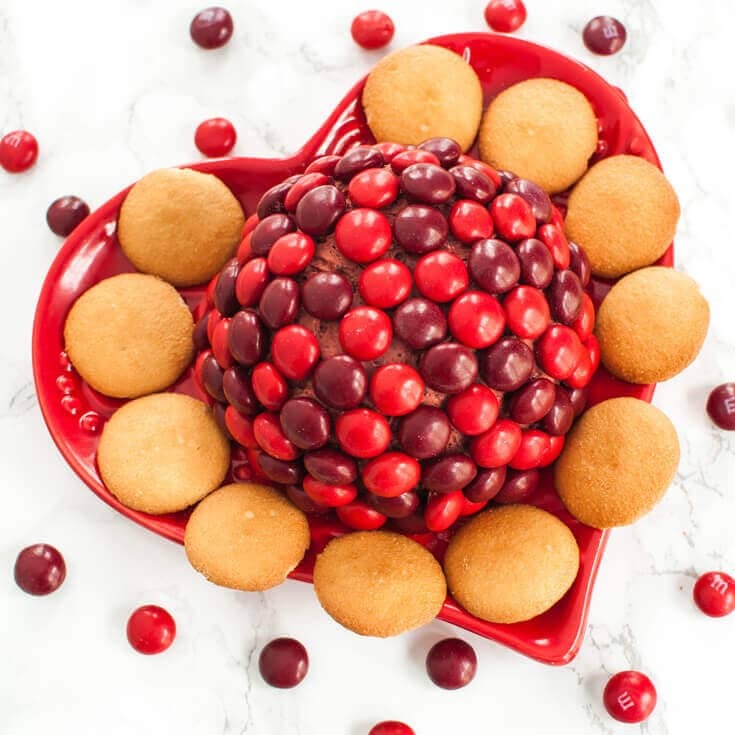 Easy cherry cheesecake dip is a colorful dessert recipe for Valentine’s day, a baby shower or any party. 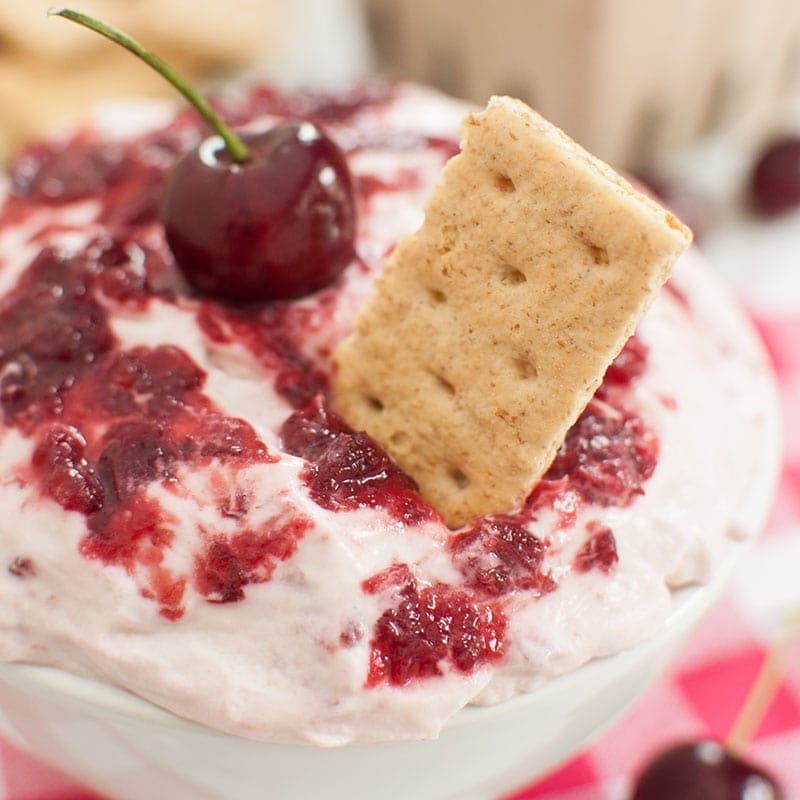 Fresh cherries make a lovely addition to this sweet dip. Pairs perfectly with graham crackers. 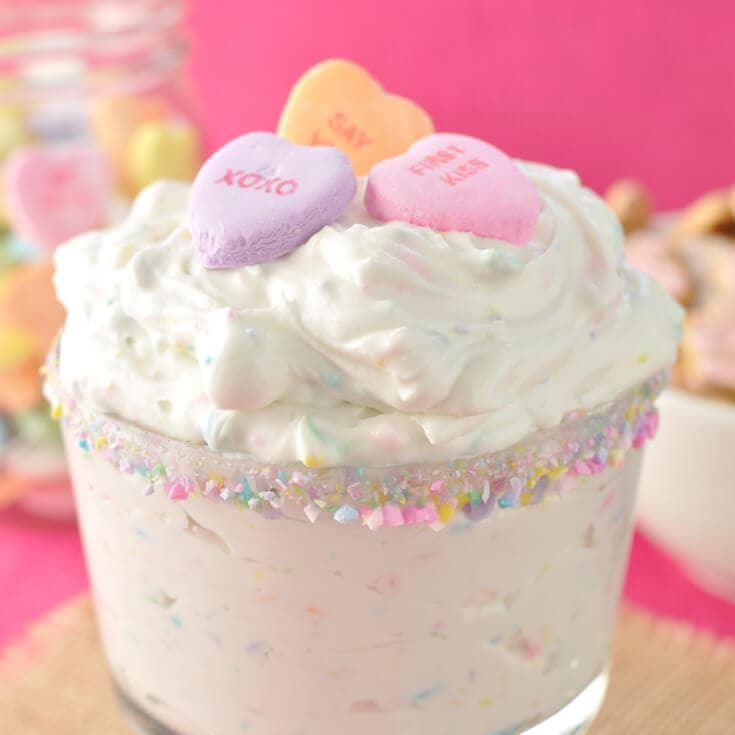 Classic Valentine’s Day conversation hearts add a fun twist to this Conversation Heart Cheesecake Dip recipe. 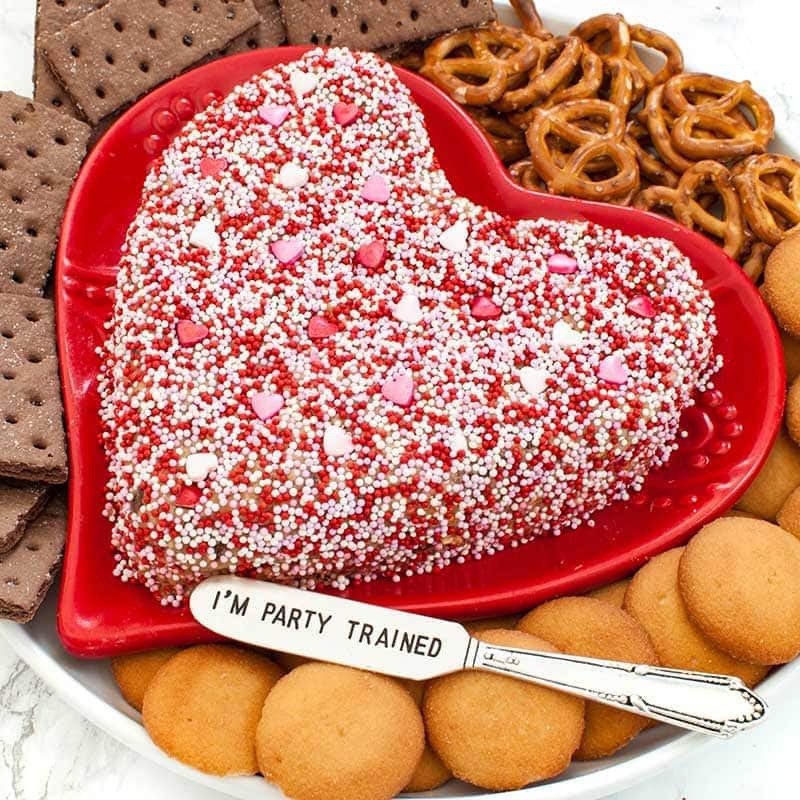 Easy Valentine’s day dessert idea. 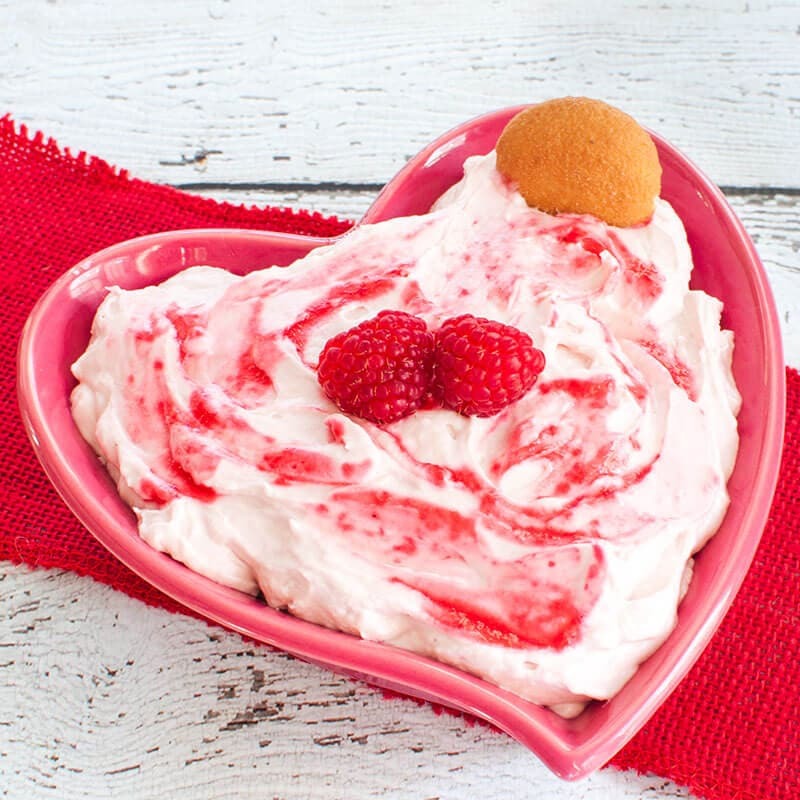 This easy to make dip is the perfect dessert for Valentine’s Day. 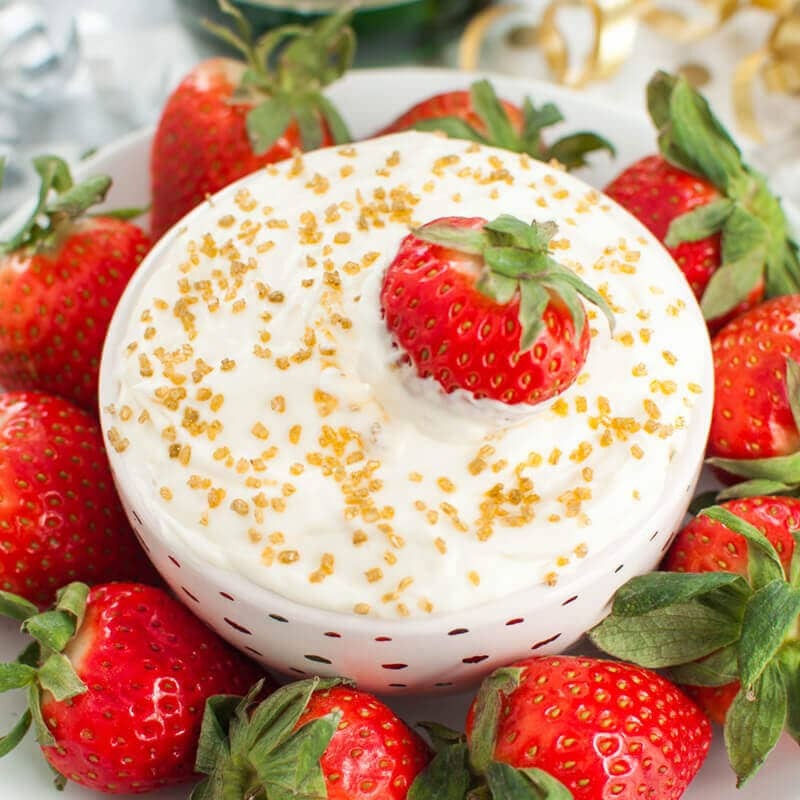 Serve this white chocolate raspberry cheesecake dip with wafers or graham crackers. Easy, 5 ingredient fruit dip that tastes like a chocolate covered cherry. 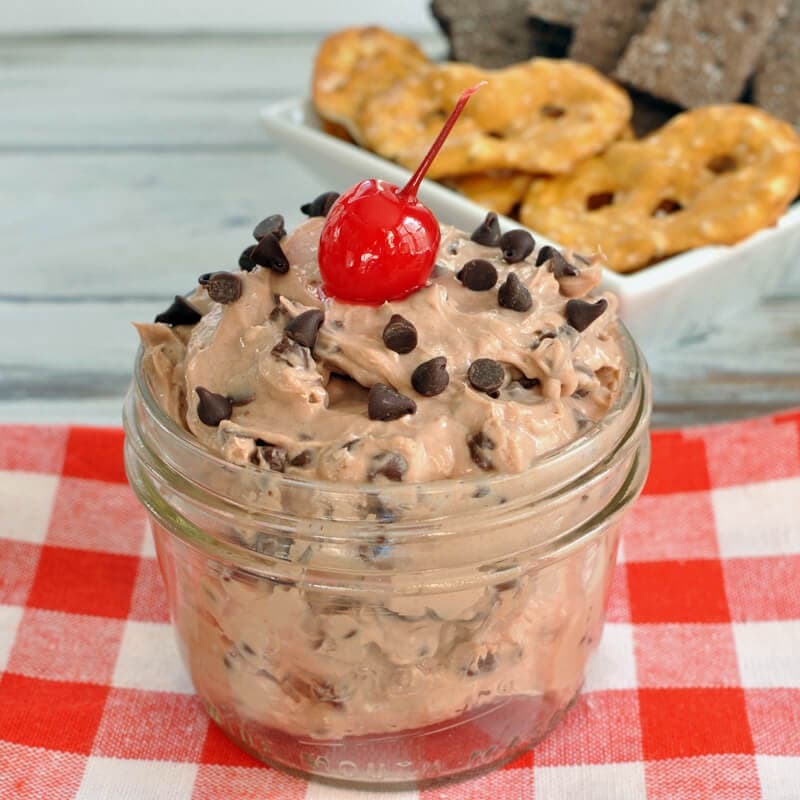 This chocolate cherry fruit dip is great for Valentine’s Day or any dessert table.